Record smashing temperatures hit Thailand, Laos and Cambodia. In Malaysia, lakes dried up and vegetables withered. Weak monsoons and killer heatwaves left India barren and praying for rain. Storms pounded the Californian coast, leaving apartments teetering on cliff edges asbackyards dropped into the ocean. Western South America will probably see drier than normal conditions, with the potential for drought in Peru and Chile. In the U.S., La Niña is likely to bring drier than normal conditions in the Southwest, as well as the Rockies and Southern Plains. Enhanced rainfall normally arrives in the Pacific Northwest and to a lesser extent over the Ohio Valley, as well as below normal temperatures. 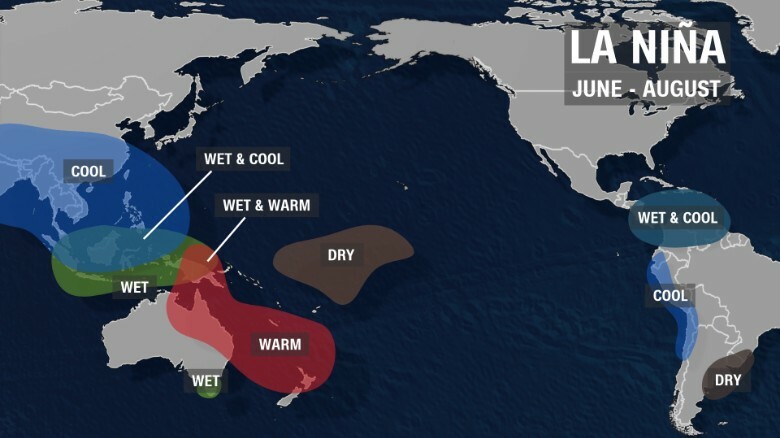 La Niña is the cool phase of the El Nino-Southern Oscillation (ENSO) climate pattern — a naturally occurring phenomenon that involves fluctuating ocean temperatures in the Pacific. 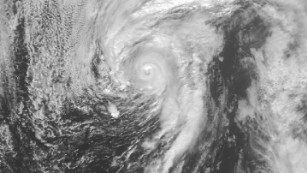 El Niño is characterized by a warming of the waters in the central and eastern Pacific Ocean. 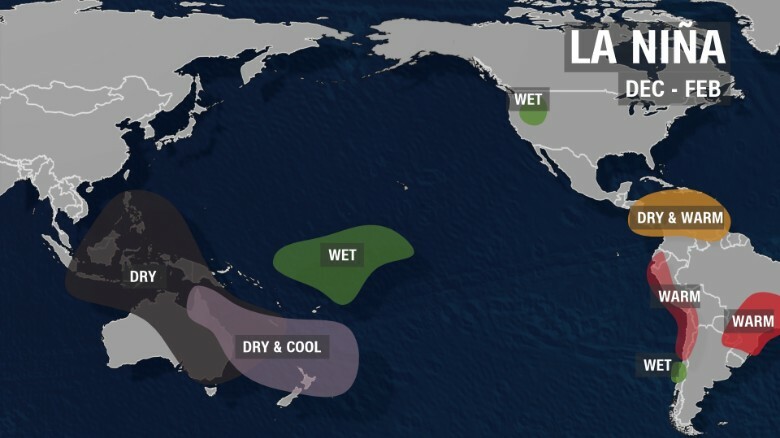 La Niña features a cooling of those same Pacific waters. 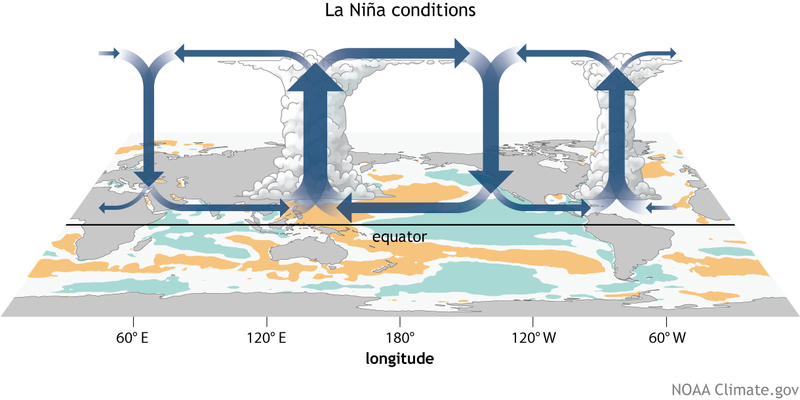 A La Niña setup begins when strong, easterly winds blow the top-most, warmer layer of water towards Australia and Indonesia, leaving the central-eastern Pacific Ocean as much as four degrees below average. Experts say that sea surface temperatures have dropped and been neutral since mid-May, which has signaled the demise of El Niño. 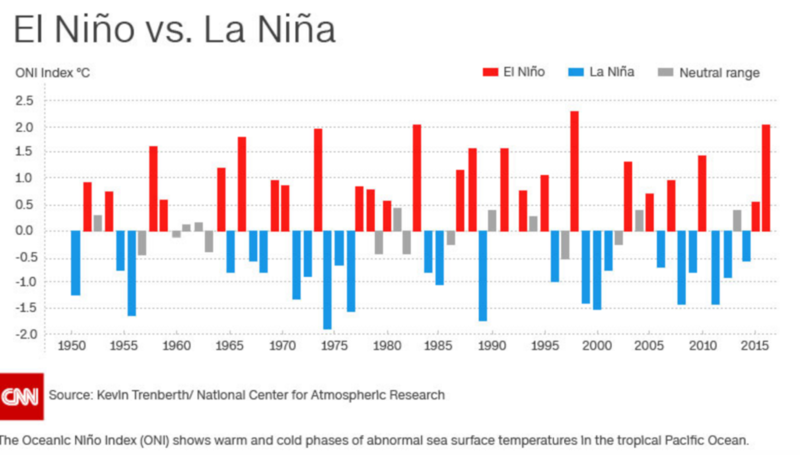 The most recent La Niña weather pattern began in mid-2010 and continued until 2012. 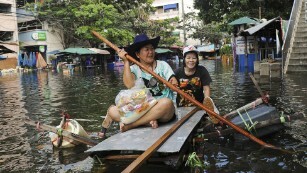 In 2011, Thailand was hammered by three times its average rainfall. More than 75% of the country’s provinces saw flooding, which led to more than $40 billion in damage and thedeaths of 815 people.